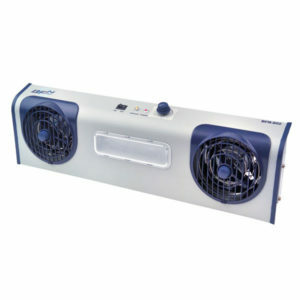 Ideal for clean room applications. 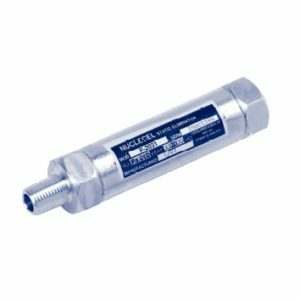 It utilizes a 0.5 micron filter and 316 electropolished ionizing cartridge and tip. 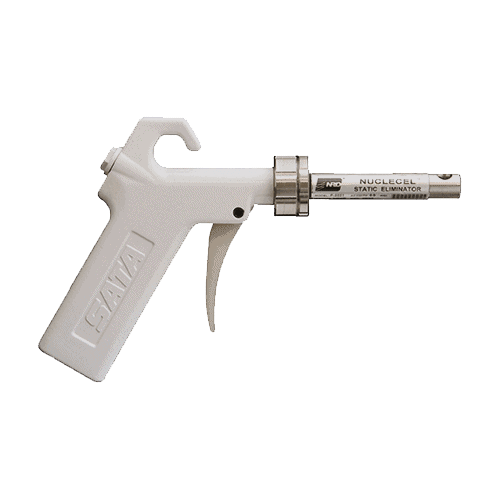 The Staticmaster® P-2021-5942 Clean Room Ionizing Gun Kit is ideal for clean room applications and is intrinsically safe in flammable or explosive environments. 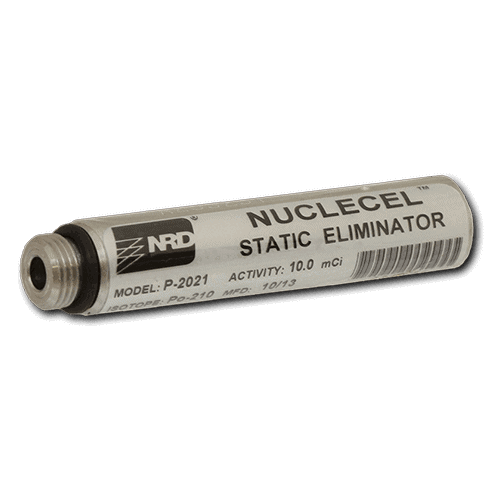 The kit includes SA4 white powder-coated cast aluminum handle, P-2021 ionizing cartridge, 0.5 micron filter and electropolished OSHA-compliant tip. 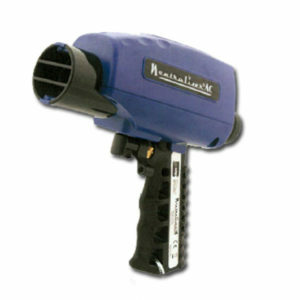 This gun is ideal for clean room applications. 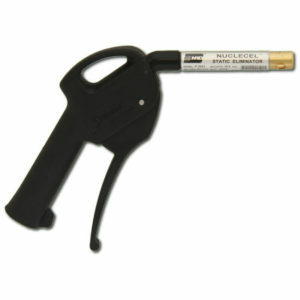 It utilizes a 0.5 micron filter and 316 electropolished ionizing cartridge and tip.